Hello! 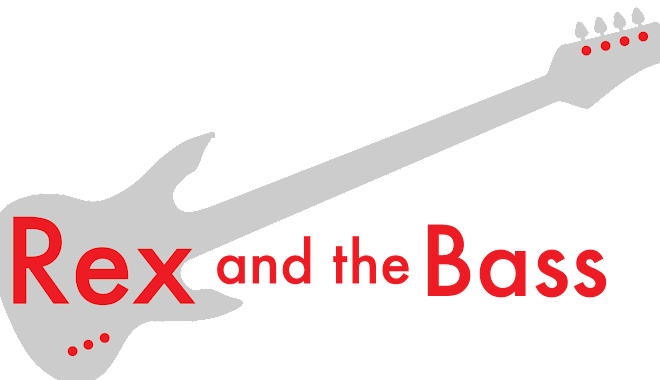 If you have been reading Rex and the Bass for a while, you may know that I love both Telecasters and Japanese guitars, so when those two planets align I am like a high school kid with a bottle of whiskey and the keys to dad’s Porsche. Check out today’s answer to my prayers: a Japan-built Fender TL72-55 Telecaster. This is a fairly faithful recreation of a 1972 Telecaster, and gives the performance of the American-made reissues at a fraction of the cost. I picked this non-export model on a business trip to Japan, and it will be taking the place of my all-black Tele, which is now for sale. As this is a model TL52-55, it is one of the midrange models. The “72” in the model designation means this is a 1972 Tele style, and the “55” in the name designates 55,000 Yen, which is around 600 bucks right now. And Japanese music shops don’t bargain much from list price. The serial number on the headstock has an E Made in Japan prefix, dating this to 1984 (or so) according to Fender’s website. That makes this a very early post-JV instrument made by Fujigen, so it is pretty rare. This one has a stunning transparent finish over the 3-piece Sen ash body. There is some amazing figuring/quilting to the body grain, which you will not find much on any of the Japanese instruments (or the American ones either, actually). It is not terrible heavy, coming in at a touch over 8 ½ pounds. The maple neck is a peach with a period-correct water transfer label and a C-profile. The original frets are normal-size and wee probably well finished when it was new – they are still level after 30 years. The neck pocket to body fit is very precise, showing the fine craftsmanship that went into building this instrument. The hardware is swell, with a classy three-ply black pickguard, and a traditional Tele bridge with 3 steel saddles. As I said earlier it is not terrible faithful to the original and this is because of two things: the truss rod screw is a hex type and they installed Gotoh sealed tuners at the factory. There are no problems with these things, of course as the hex is less likely to strip and Gotohs are very nice tuners that work smoothly and hold well. The pickups appear to be original to the guitar, but rest of the electronic parts are not. If you lift up the control panel, It looks like sometime over the last three decades someone decided to upgrade and rewired this Tele with USA CTL pots, a USA CRL switch and a Orange Drop capacitor. This is a worthy upgrade as the pots are often the weak link in the MIJ guitars. This thing is not a trailer queen and its has had its share of use over the years, but it is all honest playwear and it has a nice vintage vibe to it. There is a pretty good reason it is showing some wear, and that is because it sounds great and it is a smooth playing guitar. The tone is everything you could ever want from a Telecaster, and it will kill any Stratocaster that crosses its path. It will surely make me a happy camper if I ever take a break from writing and get some decent playtime in. Sounds like a keeper, Rex!